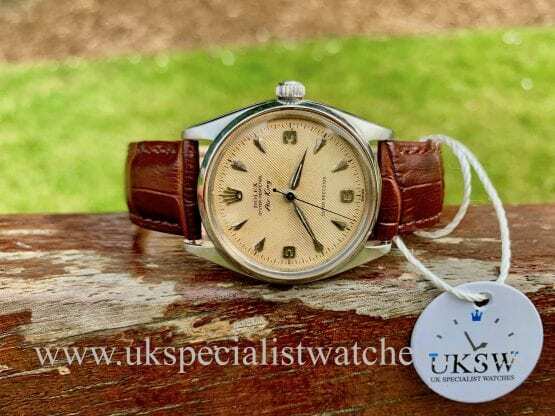 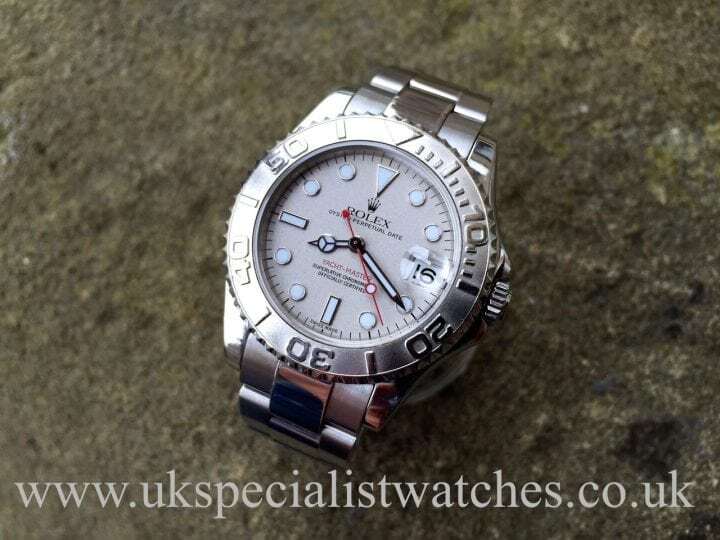 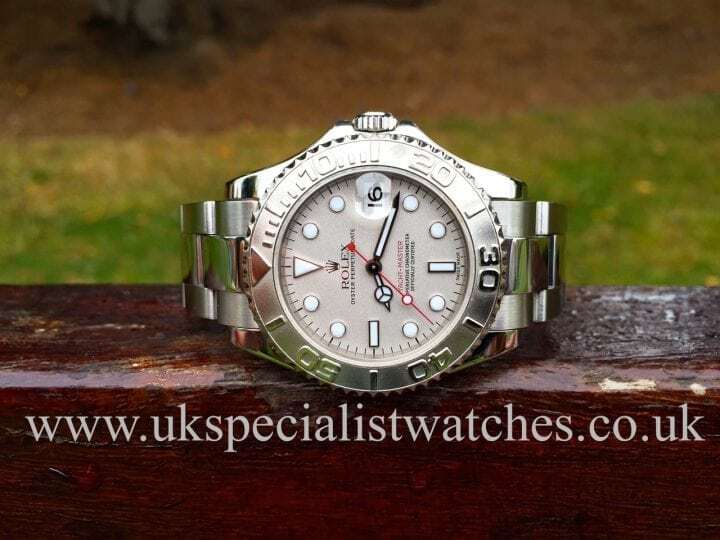 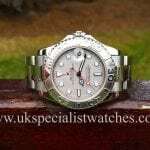 Rolex Yachtmaster 35mm is the only mid size sports model they produce. 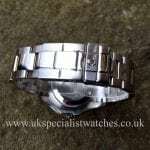 A full size gents day date is only 1 mm larger measuring 36mm. 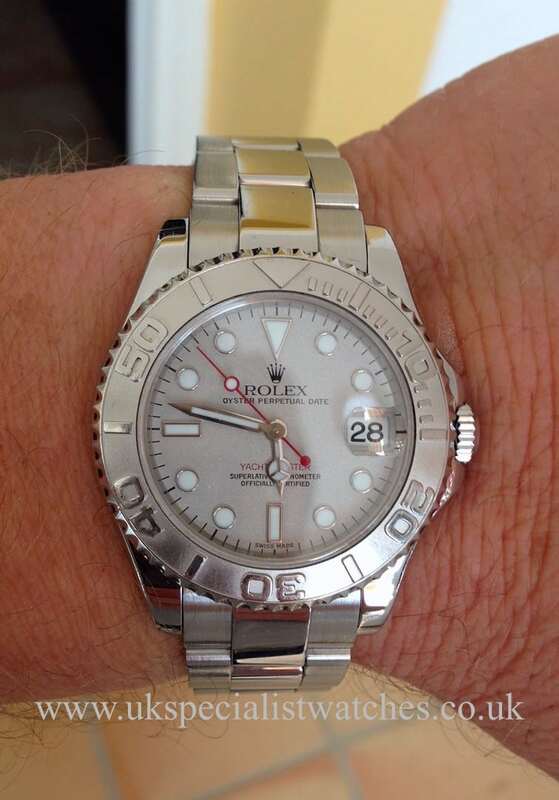 Our example has a stainless steel case with a ( 950) platinum bezel and matching silver dial. 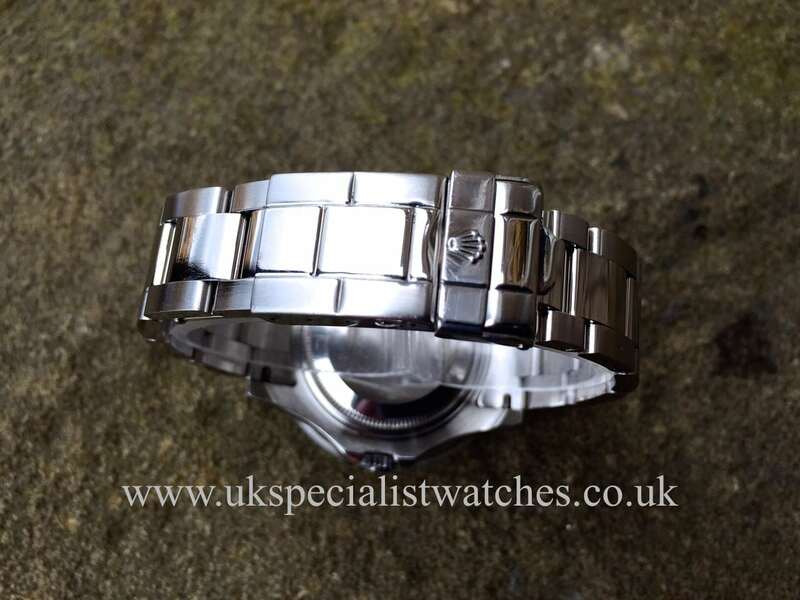 Polished and brushed Oyster bracelet with Flip-Lock clasp. 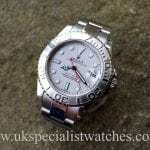 Chronometer certified automatic movement,water resistant to 100m. 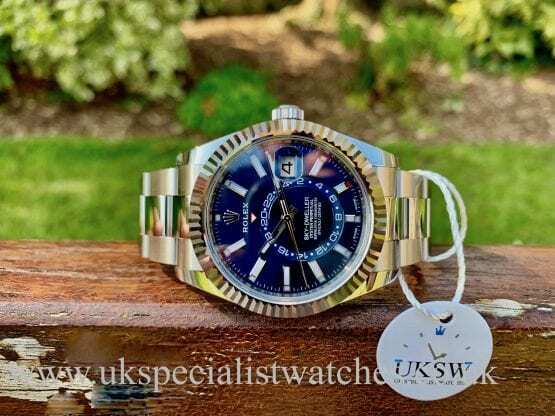 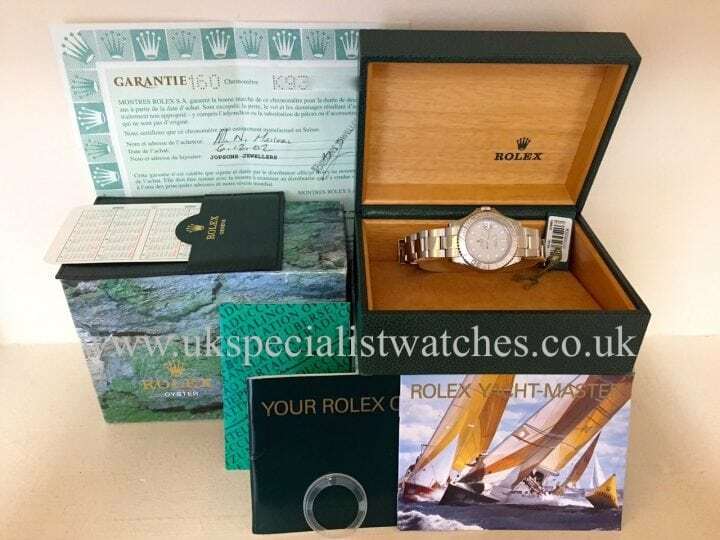 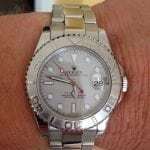 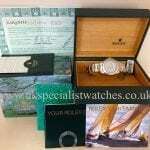 One owner watch UK supplied in nov 2002 at Banks & Lyon complete all boxes and papers, guarantee certificate, swing tag, bezel cover etc.